This year Pink Training, Europe’s largest LGBTQ training event, was held in Galway. A speaker at Pink Training 2017 was asked to leave the event after coming into contact with a delegate who had previously made allegations against them to the Union of Students Ireland (USI). The delegate chose to leave Pink Training and the speaker’s workshops were cancelled. The USI fell under criticism on social media for their handling of the allegations of “prior misconduct” made. “On the basis of the desire to have the trainee fully participate at Pink Training, the speaker was approached to inform them that an allegation had been made and was asked without prejudice, and without making any determinations in respect of the allegations, in the interests of the operation to the event, not to deliver any more sessions,” said USI President Michael Kerrigan. After the allegations were made, “organisers met to ascertain the necessary steps to ensure that the trainee was able to fully and comfortably participate in the event,” said Keegan. The following day the delegate decided to leave. 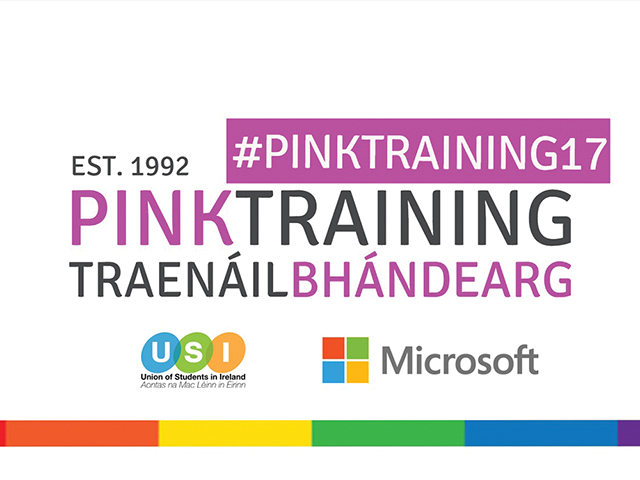 This year Pink Training, Europe’s largest LGBTQ training event, was held in Galway. The event offered guidance and support to over 300 students. “USI receives feedback from delegates at all training events, including feedback on speakers, modules, venue etc. and use this information when organising events in the future. This is no different for Pink Training,” said Kerrigan.